Real Jesus Ministries, Inc. has created a new website exclusively devoted to providing an online platform for testimonies like YOURS. The Power of Your Testimony. Everyone who has received Jesus Christ as their Savior and Lord has a testimony of how God has transformed your life. When we received the forgiveness of our sins and became spiritually re-born through faith in God’s Son, all of us experienced changes in our lives that the world needs to know. In fact, the Bible tells us we are now “New Creatures in Christ” and God will use your story to draw other people to want to know Jesus, too. Share YOUR STORY of how God re-wrote your life when you received Christ by going to our new website, www.GodCanRewriteYourStory.com and clicking on the link, Submit Your Story. You don’t have to be a professional writer. We’ve made it easy for you to tell your story by using our automated form. You’ll be amazed how much better you’ll feel knowing that others who read about your faith experience will be encouraged and given hope by your testimony. Plus, you too will be edified when you read the testimonies of others! Categories: NEWS & EVENTS | Tags: Bible, Christ, Christianity, Faith, God, Jesus, Lord, Religion and Spirituality, Share Your Story, Your Testimony | Permalink. Edith Schaeffer, co-founder of L’Abri Fellowship and widow of theologian-philosopher Francis Schaeffer, died on Friday at age 98. Schaeffer was born in Wenzhou, China to missionaries who were serving with the China Inland Mission. In addition to her English name, her parents gave her the Chinese name Mei Fuh, meaning “beautiful happiness”. On June 26th, 1932, Edith attended a meeting in her liberal Presbyterian church where a Unitarian minister delivered an address on “How I know that Jesus is Not the Son of God,” and “How I Know that the Bible is not the Word of God.” She was prepared to offer a rebuttal when a young man stood up and said, “My name is Francis Schaeffer and I want to say that I know Jesus is the Son of God, and He is also my Savior.” After Francis delivered his testimony, Edith added a brief apologetic for the truth of the Bible. The two began dating that night and married three years later. To put her husband Francis through seminary, Edith tailored men’s suits and made gowns and wedding dresses for private clients. After three years serving in active parish ministries in the United States, the Schaeffers moved their family to Switzerland in 1948 to help churches in their efforts to resist both liberalism in theology and existentialism in the culture after World War II. L’Abri Fellowship began in Switzerland in 1955 when Francis and Edith decided in faith to open their home to be a place where people might find satisfying answers to their questions and practical demonstration of Christian care. It was called L’Abri, the French word for “shelter,” because they sought to provide a shelter from the pressures of a relentlessly secular 20th century. 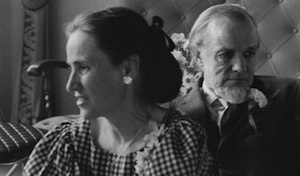 Categories: NEWS & EVENTS | Tags: Francis and Edith Schaeffer, Religion | Permalink. Some of you have asked “Why don’t we celebrate Easter*, attend sunrise services, honor the bunny rabbit or decorate colorful Easter eggs?” The answer is simple: These practices are not to be found in the Bible! Therefore, as faithful Christians we must be careful not to observe traditions that are not Scriptural nor holidays that have pagan origins (such as Easter, Valentine /Cupid Day, Halloween, or Christmas). However, we do observe the biblical holiday of Passover. This year on Saturday April 7th, Real Jesus Ministries will be celebrating our annual Passover Feast. If you would like to attend, contact us to make reservations. 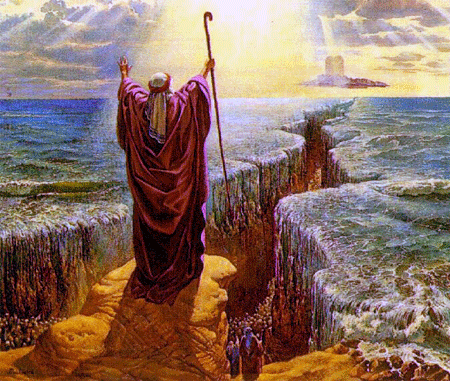 Our Passover Feast will begin with prayer, a special Passover meal (Seder) and a solemn communion service at sundown the evening before, followed by a unique worship event the following day. The LORD gave the Passover Feast to us, His people, (both Jews and Gentiles) to remind us of the great sacrifice that Jesus Christ [the Messiah] made on our behalf as the Holy Lamb of God who was sacrificed for us and took away our sins. The LORD specified that it was to be a perpetual feast to be observed for all generations (Exodus 12:14). * The name “Easter” is never mentioned in the original New Testament Scriptures. It was mistranslated in the King James (English) Bible in Acts 12:4, but it should have been translated “Pesach”, the Biblical Passover Feast instituted by God. It was during the annual Passover celebration that Jesus was killed at Jerusalem in which Acts 12:4 describes – not the pagan holiday normally associated with the term “Easter”. For further study, order our booklet, The Seven Biblical Feasts. For a complete 2012 Calendar of the Seven Biblical Feasts, click here. Categories: NEWS & EVENTS | Tags: 2011, Christmas, Cupids, Easter, Pagan Hildays, Passover, Pesach, Saint Valentines Day | Permalink. The enemy of both Christians and Jews is dead. U.S. President Barack Obama has confirmed today that Osama bin Laden, leader of the Al-Qaeda terror group who has been sought for nearly a decade due to his group’s involvement in the September 11 terror attacks on the World Trade Center, is dead. “Justice has been done”, he said, addressing his words in particular to the families of those killed in 9/11, in the war against the Taliban and also thanking those servicemen and women who took part in the search for the terrorist leader. Categories: NEWS & EVENTS | Tags: 911, Al-Qaeda, Christians, Death of Osama bin Laden, Destruction, Egyptian, Enemies, Exodus 15:1-7; 11, Jews, Justice of God, Pharaoh, Red Sea Crossing, September 11, Terrorists, The enemy of both Christians and Jews is dead | Permalink. Behold! 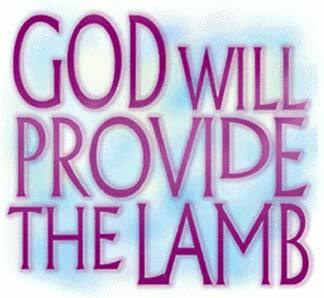 Jesus The Lamb of God who takes away our sin. Behold! 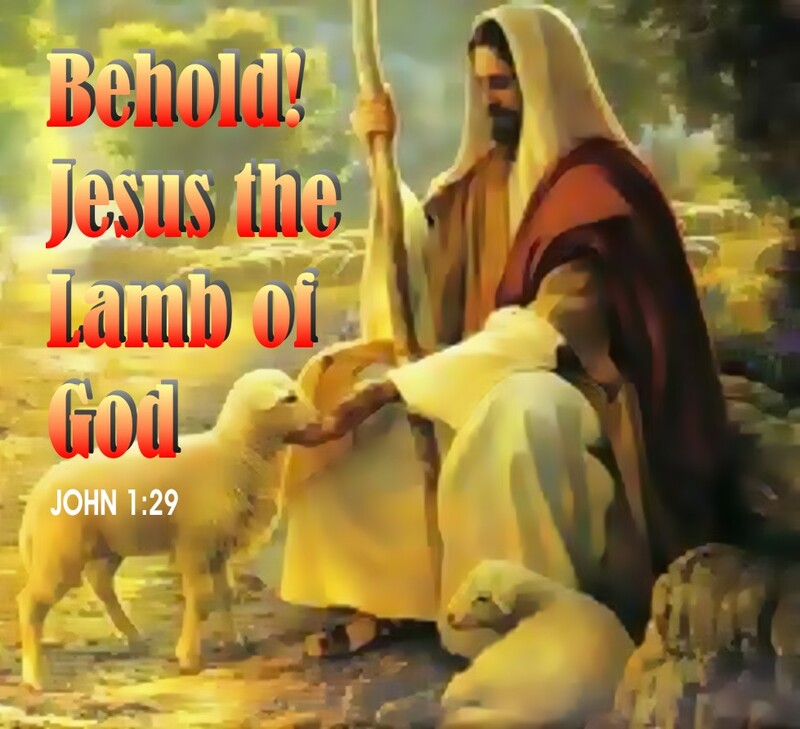 Jesus The Lamb of God who died and rose again. Categories: NEWS & EVENTS | Tags: 13-14, Exodus 12:3-7, Feasts, Jesus the Lamb of God, John 1:29, Messiah, New Testament, Old Testament, Passover, Pesach, Revelation 5:12-14., who died and rose again, who takes away our sins | Permalink.